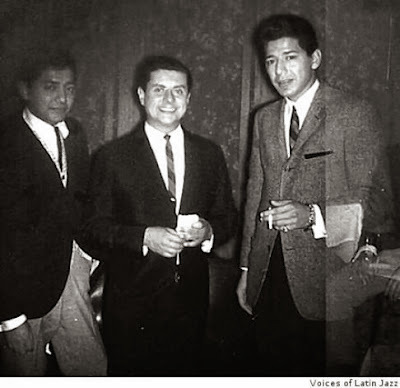 When Pete Escovedo launched his career nearly 60 years ago, he had no idea he was laying the foundation for a future musical dynasty. The renowned percussionist, who specializes in Latin Jazz, is the patriarch of a illustrious rhythmic family that originally hails from the San Francisco Bay Area. 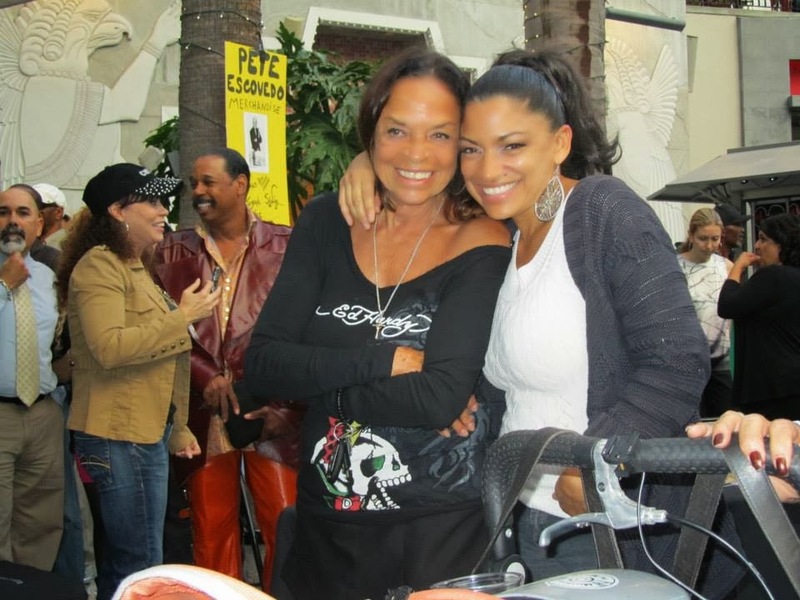 His daughter Sheila, also known as Sheila E. and sons Peter Michael and Juan Escovedo are world-class and in-demand percussionists. His youngest daughter Zina Escovedo, is a dancer, massage therapist, promoter and sells merchandise at family concerts. He has been married to his wife, Juanita Escovedo, for 57 years. 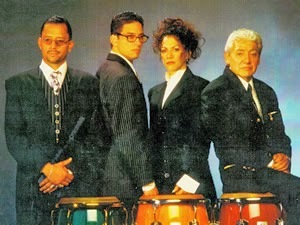 After leaving that band, he, again with Coke, formed the Latin Jazz band Azteca and the group recorded two albums: Azteca and Pyramid of the Moon. He later went on to work such musical luminaries as George Duke, Herbie Hancock, Tito Puente, Barry White, Anita Baker, Boz Scaggs, Chick Corea, Al Jarreau and many others, the Web site goes on to say. He also often performs with his children: in concert as The E Family Orchestra; they also often perform on each other's albums and in the late 1970s, Pete and Sheila recorded two duet albums, Happy Together (1977) and Solo Two (1978). In addition, he has a thriving second career as an artist, a vocation that he is equally passionate about. In fact, in high school, he had already laid plans to become a full-time artist before he switched gears and went into the music business. 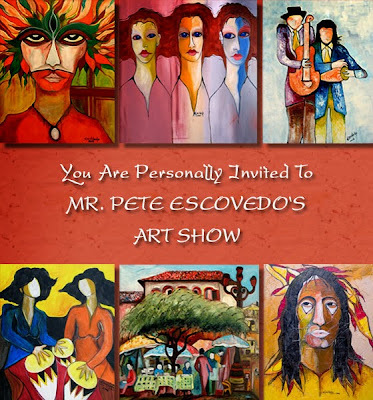 His art work has been featured in shows, at businesses (such as hotels) and have been sold to private owners, including entertainment business luminaries. Growing up in the Bay Area is one of the best things I've ever done. I was born in Pittsburg, Calif., a small town close to Oakland, and I lived there until I was about 5 or 6 years old. We moved when my dad got a job working at the army base in Oakland and that's where I really grew up. I went to school there, started my music career there, got married there. All my kids were born in Oakland. That's home base. I would say (I've) been living here in Los Angeles for about 13 years. We've totally relocated here, (but), I often go to the Bay Area, as we still have family there. My oldest son Juan still lives in Marin. My wife's relatives (and) some of my relatives are there. Not only do I go back to visit, I also perform. I like performing in the Bay Area. I celebrate my birthday by playing at Yoshi's Jazz Club in Oakland every year. I think that I've been very fortunate in my career that I've been able to perform with a lot of the people that I admired growing up, when I wanted to be a musician. My closest friend and mentor was Tito Puente. I was not only able to perform with him, but, we recorded together. We did a video together. We became very close friends. It was really blessing to know him. Then, of course, (there were) my associations with people like Cal Tjader-- (I) recorded with him and he was also a friend of mine--, Willie Bobo, Mongo Santamaria, Armando Peraza, Ray Barretto-- the great, great drummers. I listened to and learned from them, in a sense, because, they were the guys that I watched. I studied them, the way they played and that's how I learned. I didn't have any professional lessons or anything like that; I'm self taught. The instrument that I play now, more than anything, is the timbales. 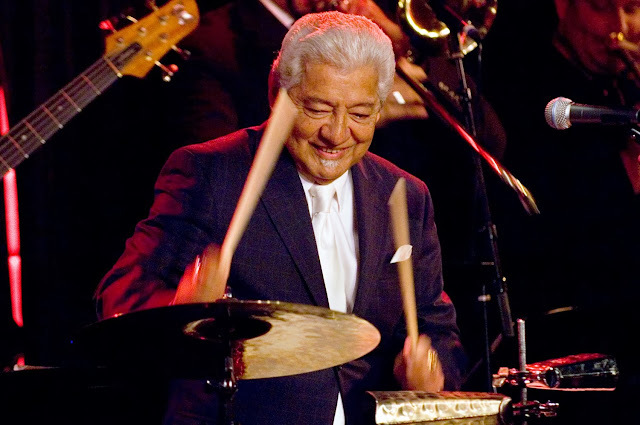 Of the people that played the timbales, Tito Puente was the best. A lot of people say (to me) “Boy, you might be a Tito Puente.” I say “Well, I will never be as good as him, but, I kind of emulate his style of playing.” That's a good thing. My daughter Sheila and I recorded with Billy Cobham, one of the great jazz fusion drummers. We recorded with him on a couple of his albums and got to perform with him. (Through that) association, we met other musicians of his caliber that really helped out in our careers. Sheila went on to play with George Duke. I also recorded with George Duke. That association was a highlight. But, the blessing of everything is playing with my kids. They are great, talented (and) we have such a great time playing together. Sheila, of course, really made a name for herself on her own. My son Peter Michael, who is the youngest of the boys, actually works more in television than actually performing with other bands. But, he has toured with Stevie Nicks, Lionel Richie and people like that. My son Juan has been on tour with a lot of different bands including with Lionel Richie (and) Patti LaBelle. They've all accomplished so much ever since they started out as young kids. I never thought, in my wildest dreams, that one day we would all be playing together. That's probably been my greatest thrill. The greatest blessing any father could have is to play music with his kids. I would like for them to say “Yeah, I learned (music) from my dad.” I think I had a little something to do with it, but, at the same time, they were around the music so much as little kids. My brothers and I would rehearse in my living room and the kids were there. They would listen to everything. They would sit there all the time just listening to music. I think their brains just absorbed so much, like sponges. The music was there and they wanted to play. I think the seed was planted, but, they went on to be so professional on their own. I didn't have to stand over them and say "Don't play this way, play that way.” I wasn't one who said “No, you can't go out and play baseball until you practice your lessons.” I never (did) that. I believe that at some point in everyone's life, God sends you a message as to what he wants you to do. I think this is what he wanted us to do: to play music (and) be a family in music. That's our calling, that's our passion and we so love doing it. Working with Carlos Santana was probably a step up the ladder for me. I sort of was pounding the pavement, so to speak, with my own band. Things weren't going that well. I wasn't working that much, working in small little clubs and stuff like that. I packed my bag, got on the plane and flew to New York, just him and I. He played the tape of a (previous) show, which I had to listen for five hours while we (flew) to New York. That night we opened up at Madison Square Garden and (played) four nights in a row. That was a big thrill for me. I never knew what it was like to play in front of so many people. Carlos always played in large venues with thousands and thousands of people. I was just used to playing in small clubs, small dives, little jazz clubs. I was just so overwhelmed. I stayed with the band for four years. It was quite a learning experience and quite a wonderful thing going to so many different countries. We were on the road so much, it got to the point I was away from the family much too much. I started to think about how I wanted to get back to my own music. I was always on the road and I missed being around my family. When you're away that much you miss birthdays, graduations and holidays, like Thanksgiving and Christmas. When you're away in another country, it's Christmas and you're not home, you get homesick. You want to go home. It got to a point for me, where, after four years, I thought it best to just start up my own band again. My association with Carlos has always been one of the highlights of my career. Also, in getting a chance to perform with him, I actually got some gold records (laughs). It helped to boost my career and I really owe him a lot of gratitude for that. We started calling up musicians (and) we had auditions in the Bay Area. We ended up with a pretty large band, but, it was incredible. We really a great time with that band. The musicians brought so much to the table with arrangements, ideas and by writing music. 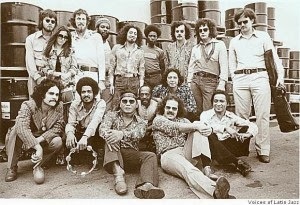 We did all styles of music: instead of just Latin Rock, we took it a step further Latin Jazz; Latin Soul and Latin R&B. We did just about everything in that band. We set of pace for what we were doing. That was the most exciting thing about the band. We were able to bring in ideas (and) we put all our ideas together. Those two albums, Azteca and Pyramid of the Moon were both (released) on CBS (Records). They're on vinyl and they're considered collector's items. If you tried to get them on vinyl before, it cost you quite an amount of money. But, now, a company in London bought the rights to both of those (records), so, now they're out as CDs. You can get them at the stores now. The music business has been a blessing for me. I started playing as soon as I left high school and been at it ever since. I've always looked forward and my motto is to never give up. It has taken me so long to reach the point of where I am now in my career. I'm already 78, in my senior “golden” years, they call it, but, there's still so much more to do music wise. I always tell young kids “If you're going to do anything in music, if this is what you want to do in your life, you really have to stick to it. You have to be a little selfish, in a sense, because, you have to dedicate most of your time to your craft. You have to learn your instrument, you have to study, you really put the shoulder to the wheel, so to speak. There (are) so many hurdles to overcome. It's like any other profession: you take one step at a time; you jump over one hurdle at a time; you climb up the ladder step by step. It's not an easy process. Granted, there are people who become "overnight" successes, especially a lot of young people who are in the rap business-- people that do their own CDs and can cover all of everything on their own, all by computers. But, if you really want a lasting career, you have to think: how long do they last? There are so many great musicians who have played all the music they wanted to play until they passed away. What better life can you have than that, especially if you can make a living doing it. You can play whatever style of music you want and it's important that you are successful at it. So, it's not an easy task. It's not an easy road to travel and the journey is long and hard. But, it's well worth it. I would say that my motto for most everyone when they're young is: “Don't give up. Keep pushing. Keep trying. Just do the best you can." I was so excited the first time I saw my wife. Talk about love at first sight--I think I got bit right away (laughs). My friend, who was one of my closest friends, actually introduced me to (my wife's family), because, they were people who lived in a different part of town from where I lived. I was brought up "on the other side of the tracks," so to speak. They, of course, were on the good side of the tracks. These were the days when, if you went to the ice cream places and the drug stores-- now this is really gonna mess up your mind-- they always had a (soda) fountain. That's where all the kids met after school. You're talking about going back to the 50s (laughs)! That's how it worked, just like a movie set. I would walk to the soda fountain at the drug store, stand outside and watch the girls go by. She happened to keep walking by; she would come there with a friend. We eventually struck up a conversation and, of course, I met her at her house. I finally asked her out. The first time I asked her out, I took her, of all places, to a jam session. It was a jazz place and she knew nothing about that, because, she listened to R&B music. I took her to a jazz session and she thought it was really something. We fell in love right away and we dated for about a year. We actually really made up our minds right away that we wanted to get married. The bad part was that she told me I had to ask her father for her hand in marriage. I sure didn't want to do that, because, he looked at me like I was poison. First of all, I was a musician. I didn't have a steady job and he was one of those guys that was a hard worker. He cared for his family by working every day. That's old school, that's where he came from. There I was, a young unemployed musician, trying to find work (and) marry his daughter. Add (to that) the fact that I was Mexican American. In those days, you were supposed to marry within your own race, so, the strikes were against me (laughs). But, I stirred up enough courage, asked her dad for her hand (in marriage) and he said okay. After a few years of being married, when I started to get a little more successful, he just loved me to death. We became very close. He was a great man-- a very stern father-- but, a really great man. I admired him, respected him and I think, through the years, he really came to terms with our father-in-law and son-in-law (relationship). It was really nice. After 57 years of marriage, (my wife and I) are still in love and we're hanging in there. It's been a wonderful blessing. Pete and Junita Escovedo on their wedding day. Courtesy of peteescovedo.com. My art has been so important to me, because, when I was in school, I actually thought I was going to be a working artist. I didn't think I was going to be a musician. I was very fortunate in my high school years, (because), my art teacher-- a dear old woman, I'll never forget her-- actually started me on my art career. She would let me go in the back room and use paints. oils, whatever I wanted. She gave me freedom in my artwork: she would come in, look at my work, give me ideas and watch over me. She told me when I graduated (that) I could get a scholarship at an art college. She set it all up for me and she also took me to an advertising firm, where I would be one of the illustrators, when I got out of school. I was all hooked up: I had a college to go to (and) a job waiting for me as an apprentice to an illustrator. But, my love for the music took over and I became a musician instead of an artist. I know I still have a ways to go, but, I've finally settled in as to what I create artistically. There are a lot of things in life that I've been through, (things) that I've witnessed, places I've been, things that I've done. Emotional things, happy things, sad things, all the emotions that a human being could go through, I've put on canvas. It could be a happy thing, it could be a terrible thing. I've painted people dying, I've painted people in death, I've painted people happy, I've painted people sad. It's just what my mood is at the time. I think it is the emotions within me that create the artwork. I don't look at something and paint it. I envision it within my mind and then I paint. I start and, as I work, it becomes a complete piece. When I stand back and look at my work, I always question it. I say “Wow, where did that come from?” It had to come from something I've experienced, something that I've seen, something that I've witnessed, something that I've done. The artwork is very special to me; it's a part of me. I've gotten older and I know that eventually, playing (music) will end sooner or later. I hope that my artwork will continue, because, I enjoy it so much. I love what I do. I've been fortunate to sell a lot of pieces. There are people in (the) music and television industries who have bought my work and have it in their homes. That's quite a compliment. In fact, I just recently did print paintings, which are in each room of a hotel in Cupertino, Calif., which is by San Jose. I'm actually doing (artwork for) another hotel, but, it's in a ballroom. I haven't started on that one, because, that's going to be an undertaking for me. I just can't believe that my artwork has come full circle. I'm very proud of the fact that I'm able to do it. There are (other) musicians that paint as well. Miles Davis painted. Tony Bennett still paints. It's just something that we have within us. I think it's the artistic sense of us, that we have to create things. If we're not creating music, then we creating artwork. They go hand in hand. I give 100 percent to each one of them, so, it's really something. It's something to behold. I sometimes wonder-- and this is probably the biggest concern I have--but, I often wonder what is going to happen to me when I die. I must say, I am a religious person, I am a Christian, I do believe in God, I believe in Jesus Christ. But, I don't know where I'm going. I don't really know if there is a place that you go. You hear about Heaven and Hell. But, I don't know anybody who's been there, who've told me they've been there. You know? So, I can't actually visualize that or see it. I wonder about what happens after death. I know that in most religions, you're supposed to believe (that) if you're a good person you're going to a good place. In a sense, too, I think when you die, you go to sleep and you never wake up. When this body disappears, what happens after that? I hope your spirit lives. These are the things I hope everybody believes in, but, I wonder, I question, I think— and it drives me crazy. I know that we're all going to make that journey. That's the one we can't avoid. In a sense, we're born to die and that's it, but, it's what you do in between. I feel that in my life, I've not harmed anyone mentally, emotionally or physically-- I hope that I have not. I hope that I brought some sort of joy to people who've heard my music, some joy to people who see my artwork and, most of all, I hope that I have been a good parent to my kids and a good husband to my wife. Those are some important things to think about. I was born and baptized a Catholic, because, that's what most Latin families do. Years ago, I just wanted to be a (non-denominational) Christian and I wanted to go to churches that allowed anyone to go. I don't think of “religion,” I think of being a good human being and a person that believes in important things in life. Everybody should think about what they do with their lives. Do you waste it? Or do you make something out of it? I think everyone should, whether you work in a factory or whatever you do in life, just do your best: do the best that you can do; be the best person you can be; be kind to people; be considerate; be nice; don't be angry; don't get mad; don't steal. There is so much out there that is so tempting. It's hard to go the straight and narrow. But it's something you have to do. Amen. We just went to church right there, boy (laughs). Pastor Pops! They call me Pastor Pete. At some point, some of your life has to be personal. I've sort of been like an open book. When I do interviews, people ask me questions and I don't say “Well, I can't answer that” or “I prefer not to answer that question.” I've always been a person who doesn't mind people knowing about me: my life, what I've done and what I do. But, I think personal things, such as finances, if someone is sick in the family or if someone has a disability, I think that those are probably personal things that people should not know about. It should be a family affair and it should be within in the family. Other than that, I don't mind what people know about me. Music makes me happy. Music makes me live longer. It makes my family stay together. Music makes me love the world, because, I think without it, the world would be such a small thing. I think music reaches so many different kinds of people: white; brown; yellow; black; whatever color, music reaches everyone. I don't think you can say that too much about other things. Music is around the world for everyone to appreciate and that's a good thing. You have a choice of what style you want to listen to, what style of music you enjoy and nobody's going to put you down for what style (of music) you like. It's there to be shared. Music can make you happy or sad. You think about a loved one or you think about things you've accomplished. It's just so much apart of being alive. The greatest thrill and blessing that I've had in my whole career and life is performing with my family. We have so much fun when we play together. You can feel the love on the bandstand and I think that love carries into the audience. It not only sends a message of music, but, it sends a message of family and how important family is. We are so blessed that, as a family, we're able to play music together. We travel together, we hang out together, we play together and we talk about music. If you could see a video of what goes on backstage: we laugh; we joke around; we tell jokes; we kid each other; we rank each other, it's so much fun. Then, when we get up to play there's that competition--of course, we all want to sound better that the next one. But, at the same time, we create something totally different from what other musicians do, because, it's a family affair. That's what makes it so special. I've always tried to use one, some or all of them (on) my CDs. Actually, on some of Sheila CDs, I'm on one song, Juan's on one song or Peter Michael's on one song. Even my wife or my other daughter, Zina, might be on something. We always try to put the family in anything we record. Anytime we record our CDs, the family is in it one way or another. (It) gives us great joy to have each of the family members on our CDs. I'm inspired by my kids, because, when I watch them play, it makes me thinks about when I was their age playing music. It just brings back a lot of memories. When I go see them play with their own bands, I just get so inspired by the way they perform, the closeness that they have with their audience and the people that come to see them. I admire them and enjoy what they do. I'm definitely inspired by each and every one of them. They carry on this tradition of music in the family. I know that my grandkids and my great-grandkids will, because, they're all in the music business; my nephews, nieces, cousins--all of them are in the music business. The Escovedo name will carry on before I'm gone. I should say long after I'm gone (laughs). There are some musicians that you meet along the road that you perform with and that you know of. Some become close friends and some are not-- although, friendships are often very important among all musicians, because, we respect and admire what each of us does. I was fortunate to meet George Duke in San Francisco, because, that's where he was from. I was playing in a small club called on Disvisadero Street and he happened to come in while we were sound checking that day. He lived in the neighborhood. He came in, we were practicing and we saw that it was George Duke. We said “Hey George, how are you doing?” We met and he sat down at the piano and started to play. (He) said “Let's play something.” I said “Yeah, that would be cool.” So, we played together and we just kept in touch over the years. He moved to Los Angeles and stared doing great by producing and working with a lot of people. His accomplishments were enormous. (He) worked hard at his craft and, boy, he was great. (He was) such a great player and great guy. Everyone loved him, because, he was that kind of a person. He'll be missed. He'll definitely be missed. I'm basically not a real songwriter and I've always admired the people who write music. When I do my CDs, I like to listen to music and arrangements that people send me. If I write something and I'm happy with it, then I'll use it. I'll have one or two songs that I wrote that will be on the CD, if I'm lucky. A lot of ideas don't go as far as they should; they just become "ideas" and they're not finished. There are people that find it so easy to write (music) and I've never been one of those (people). I find it difficult to write music. But, who knows, maybe I'll get better at it (laughs). I was reluctant to record a live (album), because, I've already done about three live CDs. I didn't want to do another one. But, since we were pressed for time I said “Let's give it a shot.” We recorded the performance at Stern Grove and, to my surprise, it came out okay. We did submit it, although, we didn't get a nomination. But, that's okay, Maybe we'll get one next time. I'm very happy with it. When you play live, you don't get a chance to say “Stop, let's go over this, let's try it again" No, you can't do that. It it what it is. When I listen to it, yeah, it definitely is live. There's mistakes and at some point, I could've played better or some of the guys could've played better. It is what it is and that's what live music is about. But, I was very surprised that it turned out well enough that we could put it out on a CD. It's doing okay and it's been on a lot of jazz stations throughout the United States. I can't complain. If I could go back in time, I wish I had been a better father. Like I said earlier, being a musician is about being selfish and that's what it amounts to. I wish I could have paid more attention to the kids when they were growing up. I was so involved in trying to make something of myself, my music career and get somewhere. I was giving it so much time and it didn't seem like I spent enough time being a better father. I always think about that. I regret that and wish I could go back in time to when they were small. I should've been a better father first, then, tried my career secondly. But, I did it the other way around. That part was not good. If I was to go back in time, I would be a better father. I spent my last birthday celebrating at Yoshi's Jazz Club, which I do every year. It's sort of (a) catch-22 day. That date, July 13, is the same day that my younger brother Coke died. My younger brother Coke and I were closer than anyone else in the family. We grew up together, most of the time, with my mother. There were six of us at the time that my mom and dad divorced. My mom was a single parent and couldn't afford to really take care of all us, so, two (kids) went to stay with my grandmother, the oldest went into the service and my brother Coke and I lived with my mom until she couldn't afford to take care of us any longer. We ended up in a home for boys. We did everything together. We were inseparable. We spent most of our time together as a band. We were the Escovedo Brothers Band (first) and played music all our lives. I went to Las Vegas to celebrate my birthday (in 1986). I got a call from my family saying Coke was in the hospital and he was very sick. About an hour later he passed away. That birthday was not a happy one. It took me a while on each (subsequent) birthday, for me to say “Should I celebrate my birthday or should it be a day of sorrow?" As the years have gone by, I say "I should celebrate my birthday, because, I should celebrate not only my life, but, I should celebrate his life." On my last birthday, instead of doing Pete Escovedo Latin Jazz Orchestra, I did Pete Escovedo: Azteca 2013. I performed all the music that my brother and I did on the Azteca albums at Yoshi's Jazz Club and it was incredible. It was so much fun. It had to be one of the best things that I had done in life. I felt so good. As I played the music, I could just visualize us playing when we had the band. I could visualize all the guys in the band. We played everything just as it was recorded on our two albums. It was an amazing time for me. That birthday was really special. I don't know what I will do for (my) next birthday. I have a project (and) my next CD is going to be an Azteca CD. It'll be a whole different band, with all new music and different people, because, a lot of the original members have passed away, retired or a lot of them don't want to come back and do that stuff anymore. We only recorded two albums, so, I'm going to call it Azteca 3. I hope to have it out before July of next year and if it all gets done, I hope to perform that music on my birthday at Yoshi's Jazz Club in 2014. That's something I'm really looking forward to. I'm going to concentrate on getting the music together and recording the band. It should be great fun. I hope that my legacy is for this music to keep going. So many of the great Latin Jazz musicians have passed away and it seems like Latin Jazz has kind of fallen by the wayside-- just like jazz has. All the new music young people are listening to and what (musicians) are doing now is completely different than the music we had years ago. I hope that my legacy would be that I have done the music so many of the great Latin Jazz players have done and it will continue to grow. Some young Latin Jazz players are doing that (and) I hope they continue to respect that style of music. It's always been an underground music to me. It's never been that popular, because, it's hard to get airplay. You don't hear a lot of Latin Jazz on the radio and you don't find a lot of Latin Jazz in the record stores—with record stores being almost completely gone. It's been an awful long struggle trying to get a large audience that listens to Latin Jazz. Granted, there is an audience out there for this music. I do appreciate that. I usually get good crowds when I play and people come to listen to the music. But, it has to grow even more. It's got to grow worldwide (and be) more than just home based. That being said, I hope and pray that my legacy is that what I've recorded (and) what I've done musically will live on. I hope other young Latin Jazz players (will) carry on that tradition. excited about that. I have some more travelling to do, not only here throughout the (United) states, but, also in Europe and Japan. I'll be going out for concerts playing with my orchestra and I'm looking forward to that. I'm 78 (and) I'm blessed with good health (and) I'm still able to perform as best I can. I know that I've slowed down with age. But, I think the music is still there. The Latin Jazz Orchestra sounds really good. I have some really good musicians in the band. The future is really bright for Sheila. She just did a new CD (Icon) and she'll be traveling a lot next year. My son Peter Michael is working on some TV shows and his future looks bright. My son Juan is also recording his own CD, so his future looks bright. The family, as far as the wife and the younger daughter, they're both doing well. Our health is good. I think if we concentrate on staying healthy, spiritually blessed, grateful for what we do and keep our feet ground-- I think the future looks bright. Hopefully, we will continue to do what we do. In Jesus' name, amen (laughs). 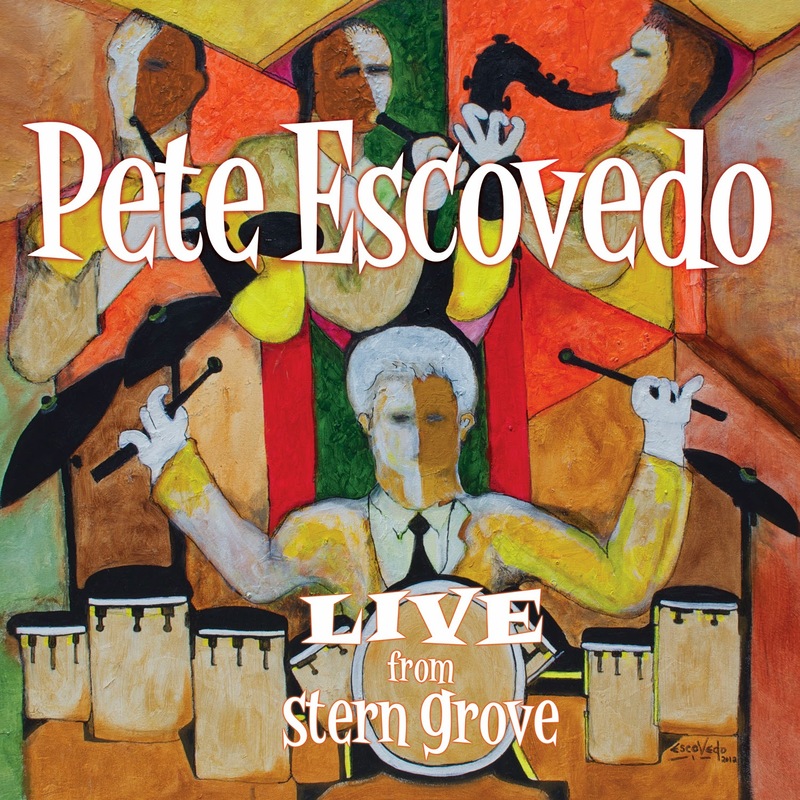 Check out Pete Escovedo's official Web site here. Lead photo courtesy of peteescovedo.com.